A wonderful novel based on the nationwide hit cable television series "Saving Grace"
In the shadow of past misfortune, Oklahoma police detective Grace Hanadarko lives life hard and fast. After Grace's drinking and driving leads to tragedy, an uncharacteristic angel named Earl answers her prayers and hopes to guide her back on the right path. But saving Grace is about to become a hell of a ride. Ever defiant and rebellious, Grace does have a soft side, especially for kids. The body of a teenage boy dredged out of the Oklahoma River appears to be a suicide. 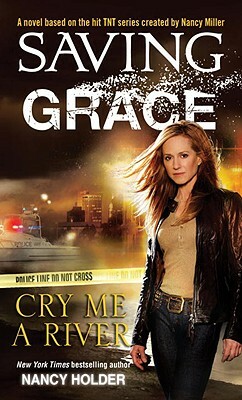 But Grace soon discovers that the boy, Zack Lacey, may have been murdered, the victim of a brutal hate crime. As Grace digs with her typical driven style, she uncovers shocking secrets in young Zack's life, forcing her to wrestle with questions of faith, hope, and justice. She'll deliver justice for the boy. As for faith-well, she's working on it.